Among all the travel destinations of India, Gujarat tops in handicrafts and art work. Be it embroidery or terracotta, Gujarat shows the real essence of traditional style. Warli paintings are one such piece of art work by the tribe Warlis in Gujarat. These special types of paintings carry special meanings. Different paintings have different significance. Warli paintings are said to be lyrical drawings. These adivasis or tribes Warli used to express their emotions, rituals and their language through the different forms of art and paintings. The painters use the canvas in a unique way to depict the rules of nature. They portray the positive as well as negative sides of natural activities. Birds, Hills, Trees, Flora and Fauna, dance, celebrations, ceremonies like wedding and such are the main subjects of the paintings. Basically these paintings show the lifestyle of the Warli community and how they survive against the nature. Warli community, who makes Warli village one of the traditional travel spots in Gujarat, has their own belief about life, they feel death is not the end of life rather it is the beginning of a new life. They put the dancing figures and celebrations in their paintings to show their life cycle through the art. Warli is a tribal group located in the border area of Gujarat and Maharashtra. It is said that they used to live in caves and the inner walls were their canvases to draw. According to the findings they had a completely different language which is highly influenced by Gujarati. Though their paintings they used to express themselves. They were the inhabitants of the vast forest area near the border. 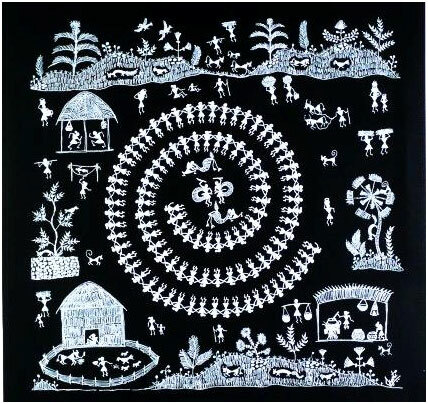 Warli’s relationship with and dependency on nature is the main subject of their paintings. Since the Neolithic era Warlis were living in the border area. Kutch is one such place in Gujarat where one can find a vast range of Warli art works. The art works are immensely popular among the wanderers and tourists as they depict several stories. Not only in Gujarat, but the paintings are popular beyond the border as well. 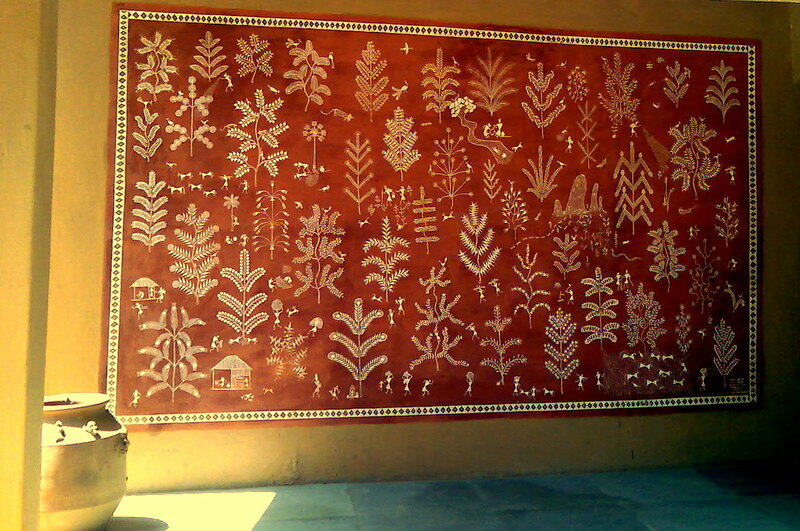 The inner and outer walls of the houses, caves, canvases and on other places in Warli village, these paintings can be found. These art works make a great theme to enjoy as every canvas says different stories of life and nature.